I mostly love the peanut and peanut butter ones, but I’m happy to try all the varieties. 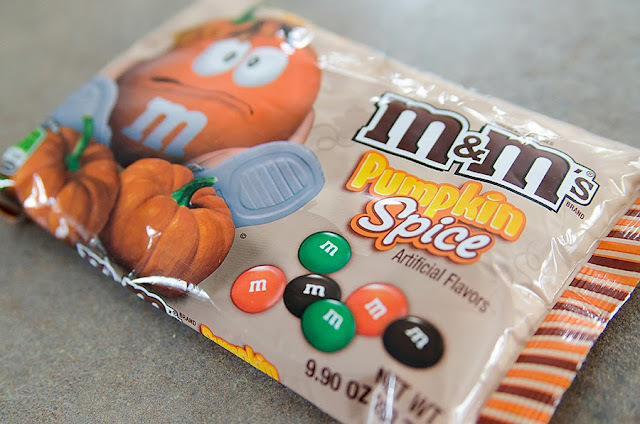 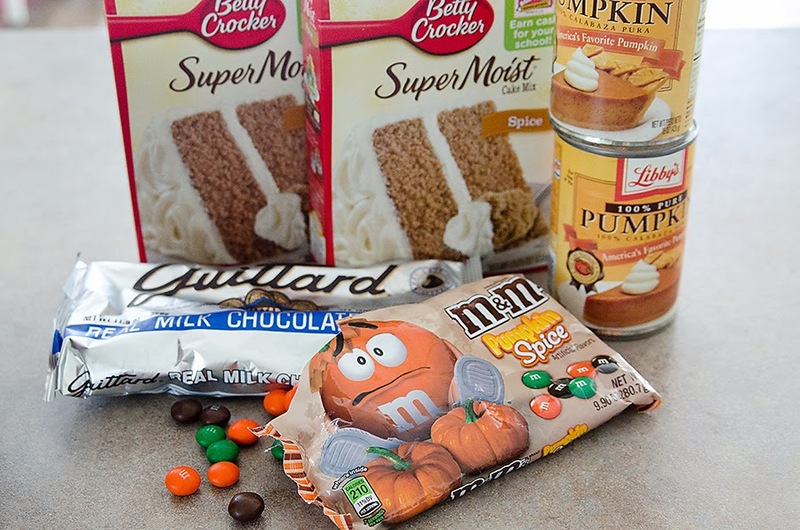 I was so pumped when I saw Pumpkin Spice M&M’s! 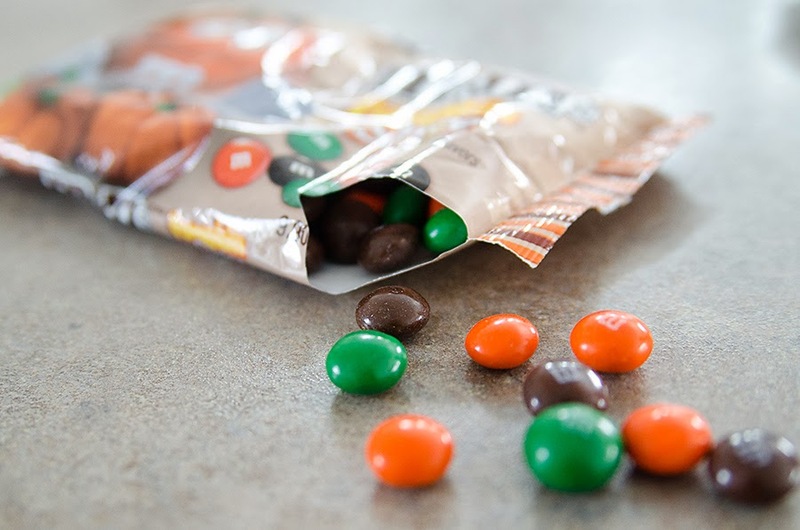 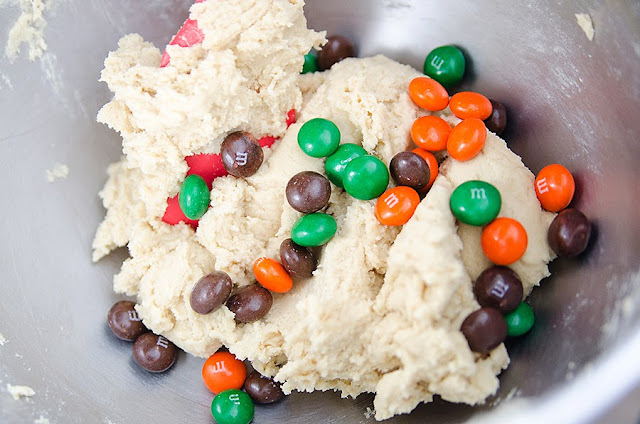 I have been eating and eating these m&m’s… thinking of the different ways you could eat them.. So I tossed a bag into my chocolate chip cookie recipe. 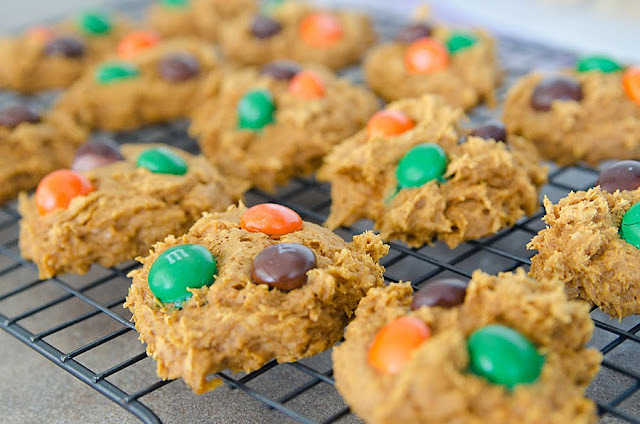 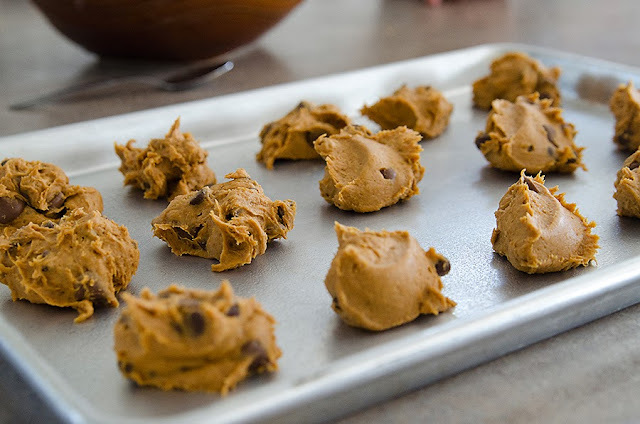 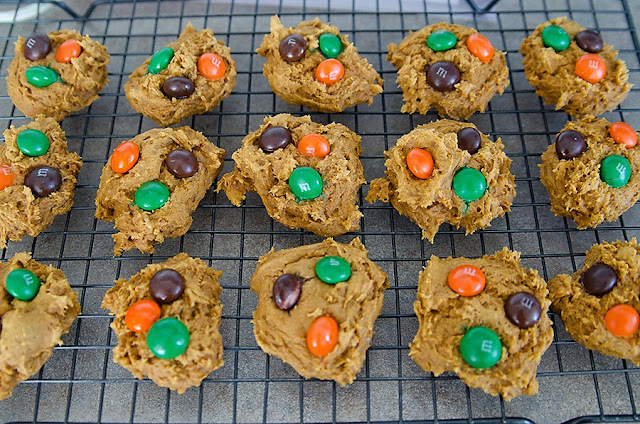 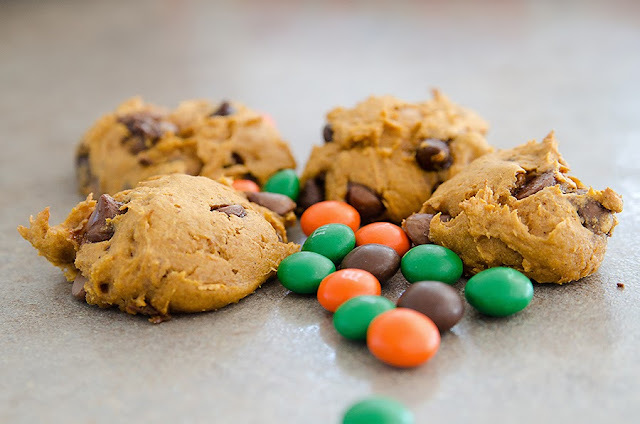 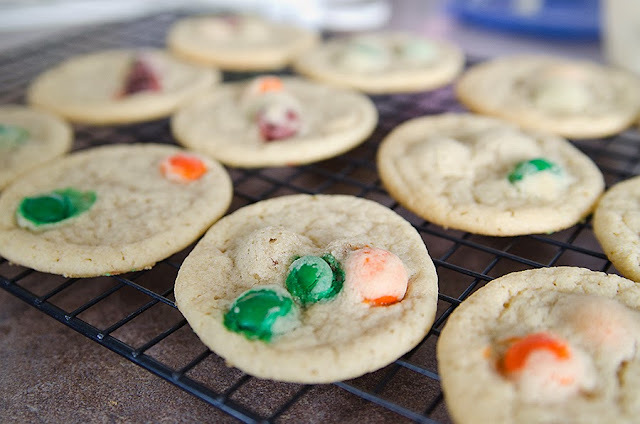 But then I wondered what they’d be like in Pumpkin Chocolate Chip Cookies!